In this fascinating insider’s account, an American woman who became an investor alleges that irresponsibility, incompetence, greed, and fraud at Lloyd’s, the world’s most glamorous insurance enterprise, have caused the company to lose $12 billion in the last ten years. Lloyd’s of London is not simply an insurance company; it is a society comprising thirty thousand Names (roughly 10 percent of whom are Americans)—private individuals like Elizabeth Luessenhop who accepted the risk of unlimited liability and pledged all their wealth to backing the insurance policies written by Lloyd’s. The beauty was that the Names didn’t have to put up any money to receive their profit share. As long as the premium calculations were sound, everybody prospered. But the 1980s were bad years for Lloyd’s—and for the Names who backed its business. It was also a time when the Society of Names grew by 50 percent to cover the disastrous losses the company was beginning to incur. 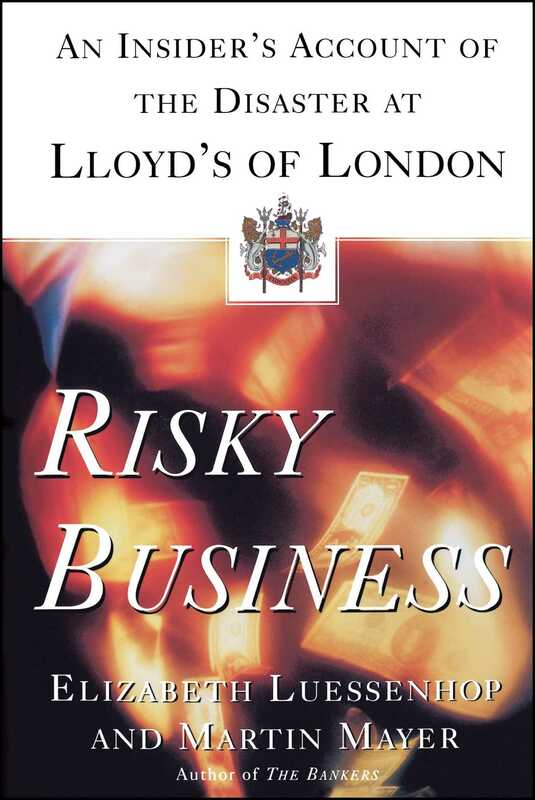 Risky Business, written with veteran financial writer Martin Mayer, is a detailed account of how the mismanagement of Lloyd’s has affected thousands of American investors who, like Luessenhop, sought low-risk, long-term security. Luessenhop and Mayer take us inside a unique business institution and show us that the ramifications of a possible Lloyd’s failure will be severe—and felt worldwide.